This type of printing is commonly used in which the inked image is transferred or offset from a plate to a rubber blanket and then on to the printing surface. It is commonly used to produce brochures, stationary, books, newspapers and magazines. It has many advantages; consistent high quality image, quicker production, longer printing life, cheapest method for producing high quality prints for commercial purposes and settings, gives allowance to adjust amount of ink used. These are computer controlled printing machines that support the highest print roll width between 18” to 100”. They are usually used to print banners, posters, trade show graphics, murals, wallpapers, backlit films, vehicle image wraps, electronic circuit schematics, architectural drawings, construction plans, backdrops of theatrical and media sets or nay other large format artwork or signage. Its advantages are; awesome high impact advertising and marketing medium having sharp contrast and resolution while giving you more exposure as well, can be used for print of demand, long lasting print quality but you have to be careful to choose the right ink with right material and know that it isn’t multipurpose as It only caters to advertising on a larger scale. This type of printing is excellent for designs that require 1-2 colours printed on specialised paper stocks such as felt or linen, which cannot be done with 4-colour offset printing or 4-colour digital printing. They are mostly used for; brochures, flyers, business cards, letterhead, NCR forms, notepads and small flyers. They have many pros: easily producible, comparatively cheaper, consistent resolution and print quality and can be used for print on demand. It makes use of a system in which a colour image is separated into 4 different colour values by suing filters and screens. Special colours like that of HKS or pantone are needed, if a shade of colour needs to be 100% reproducible, so that the CI (Corporate Identity) of a company with logo, slogan or similar design elements look same at any time, all over the world and can be recognised by the observer. This is tremendously significant for companies in order to position themselves on the market and to attract regular customers. For example, the shade of colour of a food manufacturer can often be recognised from a distance when shopping. To adjust to a particular colour, it needs a fixed special colour. 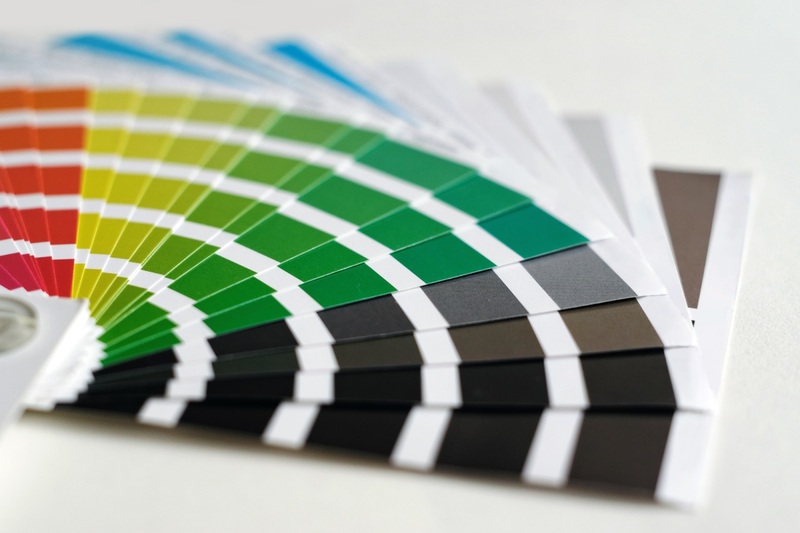 Many companies like to have their own colour guides with company colours they have created themselves for printing approval. The creation of this type of colour through the mixture of CMYK with other chromatic colours is possible, but frequently does not lead to the preferred outcome, as each outcome diverges slightly from the previous one. The printing of spot colours is henceforth carried out via multi-colour printing. Compared to four-colour printing in this case 5 or more colour channels are set up depending on the number of special colours. Roll labels are a great way to launch your brand while clearly explaining what your product is, they are used for both packaging purposes and events. Roll labels are printed in coloured form on the front side of adhesive backed synthetic stock, which is then mounted on a roll of carrier substance with simple release. They come in different shapes and sizes, circle, oval, square and rectangle with both rounded and sharp corners along with being printed on either outdoor or indoor stocks. As they come on a roll, these roll labels occupy little storage and shipping space as well. The most popular orders we receive are for rectangle with rounded corners in a custom size according as per your requirements on white vinyl. Roll labels are nice for having customization for a generic items. Labels also come in real handy in activities of organisation and advertisement. They also make to be awesome stickers for people to buy as a souvenirs. Lastly, they tell your customers what the item is and how to use it without any huss and fuss. Following are 24 hour printing Brooklyn services in each category. Are you excited after knowing so many possibilities? We are too! So take your time and pick out how and what you want and contact us at 1-800-516-7606 or at our website 24 hour printing Brooklyn to place your order whenever you are ready. Our dedicated team will put in it’s very best to give what you want an exactly as you want. It’s our honour to serve to your needs. So happy shopping!